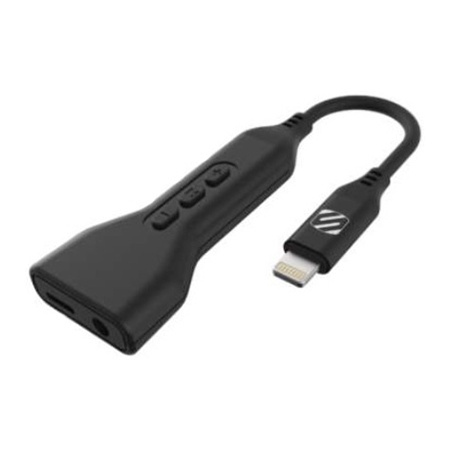 The Lightning to 3.5mm Audio Adaptor features a Charge Port for Lightning devices. The Lightning to 3.5mm Audio Adaptor features a Charge Port for Lightning devices. Charge and play at the same time. Compatible with a standard 3.5 mm stereo headphone jack. Simply plug in and play audio from your New iPhone 7. Built in controls allow you to control play, pause, track forward, track back and adjust volume.